Head Over Heels For Teaching: Spark Student Motivation: Kind is the New Cool! Spark Student Motivation: Kind is the New Cool! 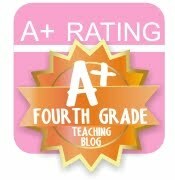 This blog post is very special and motivational to my students and myself. Our hope is that if we spread more kindness, we will wipe out the meanness in the world! 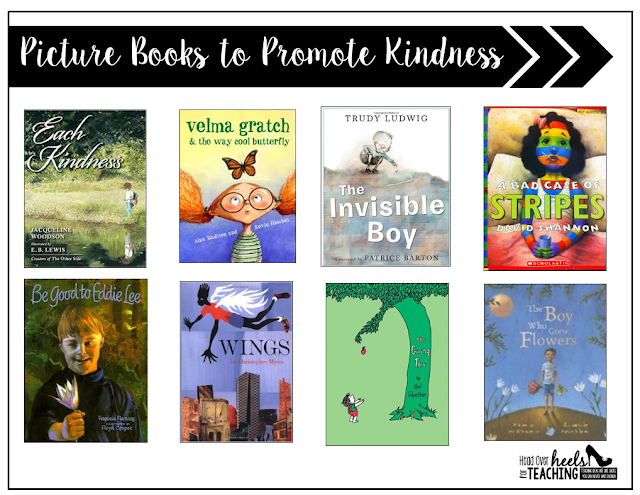 Please help us spread kindness by using some of the materials or ideas in your classroom/school and share, pin, and spread the word for us! I've told by students they can make a difference and we're acting on it. My job isn't only to teach academics, but to create leaders and doers...and my kids are running with it! We started our spread kindness campaign by presenting to our office staff and other classes. Each student selected or created a quote to share about kindness and what it meant to them. We've invited all the classes at our school to join us on our campaign and challenged them to spread kindness everywhere! 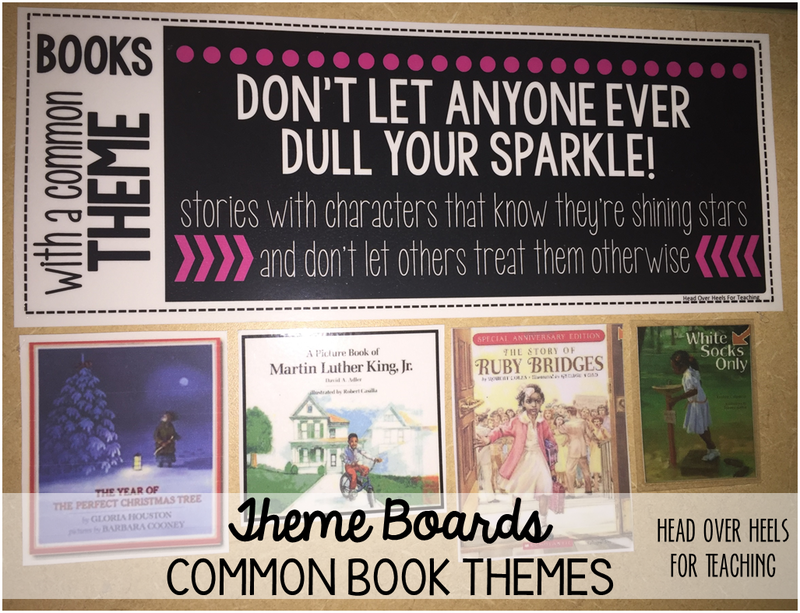 Each class received a large poster reading "Don't Let Anyone Ever Dull Your Sparkle" as a reminder to stay strong and don't let others bring you down. I was so proud of what my students wrote for their quote meanings/examples to present to other classes. They were from the heart and inspirational. All of the random acts of kindness we've done, books we've shared, and teaching I've done about being kind was shining through during these presentations! With each presentation my students' presenting skills improved and they gained confidence and excitement in our mission! Each time they hear each others' words, they are further engrained. 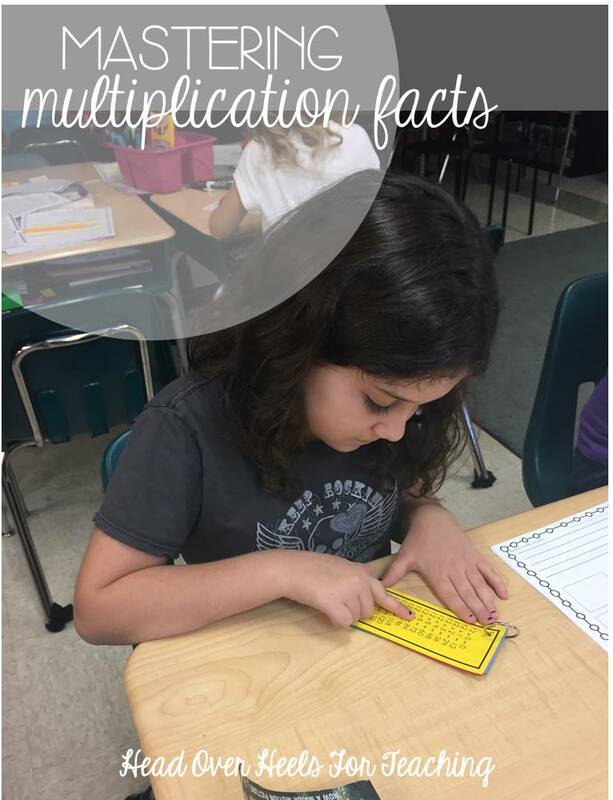 It's important to start in elementary while they're still so impressionable, so it carries with them to the upper grades. We wanted to go bigger than just our school...so we invited Fox News to come out and help us get the word out about spreading kindness! This was also a great experience for my students. (They just filmed yesterday and with the heartbreaking news in Paris (please pray for the victims and families) our story wasn't shown, but as soon as it is aired, I will add the link. We share all of these goodies with each class in hopes they will use them and be kind with one another. This is our Random Acts of Kindness Bulletin Board-it's a great visual and reminder for us to complete these kind acts and to recognize each other when someone else completes one. We give each class a poster and post-its to get started on their "kindness kick". I've received several emails and students coming to tell me how many post-its their class has used! It's so exciting to see we're already making a difference just at our own school! These posters are our kindness quotes we selected for our presentations. They are the perfect visual to remind students of how easy and important it is to be kind! Pay it Forward! We've "Positive Pranked" over 20 classes now and my kids love this random act of kindness! They get to be sneaky, knock on doors, and RUN! In return, we've been positive pranked too! This class wrote individual notes and attached candy to them for my class. My class loved it! 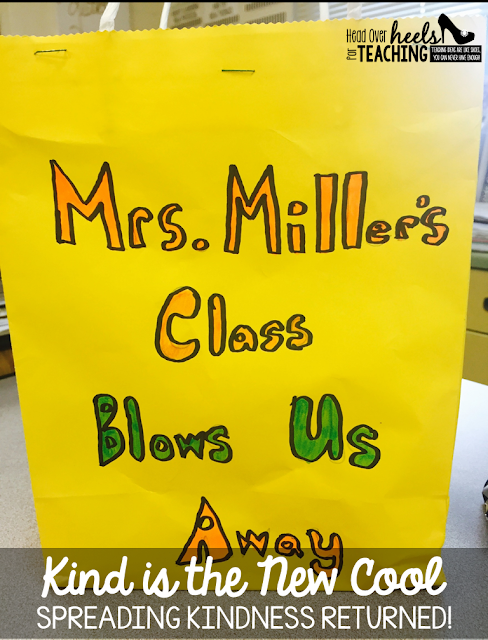 This class left a yummy goodie bag of Blow Pops for us! My students are starting to see how kindness pays off! These random acts on us are making them realize they ARE MAKING A DIFFERENCE! Here are some books we've shared in class that promote kindness, uniqueness, and compassion. I know there are dozens more titles for kindness, so please share them in the comments below. (these are just the titles I own and have read with my class). 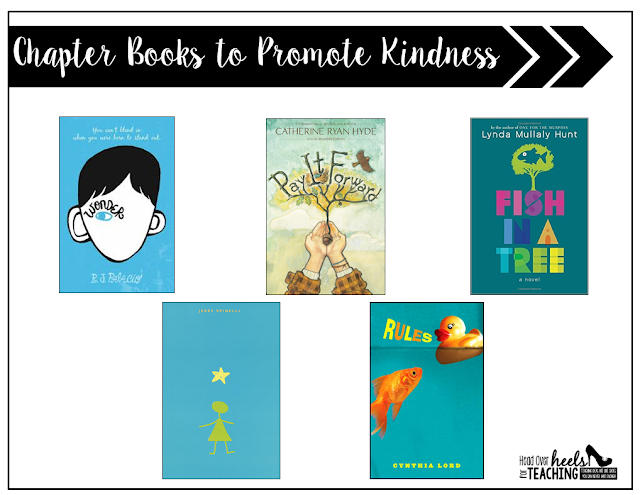 These books will definitely spark discussion and give your students a better understanding of the importance of kindness. (If you don't have all of these titles, you can usually find the titles read aloud online). 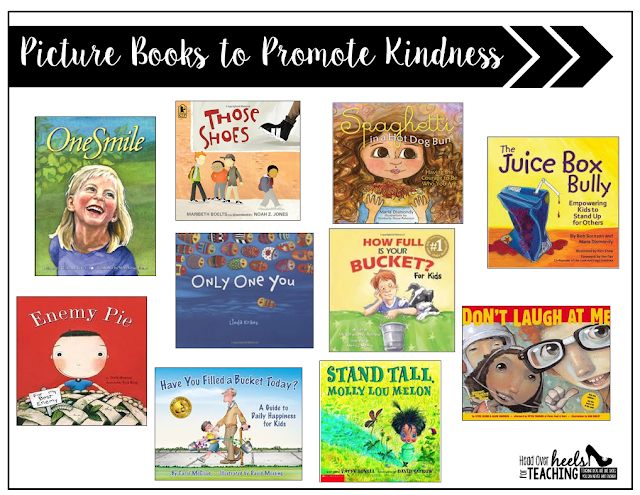 I hope you are able to use some of these ideas to spread kindness in your classroom, school, or community. 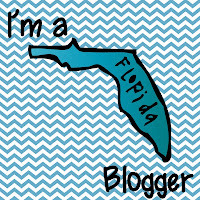 Please help this movement by sharing this link, we need everyone to help! Want all of these goodies? They are free, just be KIND and leave feedback and have others come download too! This is absolutely wonderful, Joanne. In these troubled times we definitely need to be teaching our kids that kindness matters. Thank you for spreading this message and offering your resources for us to use. 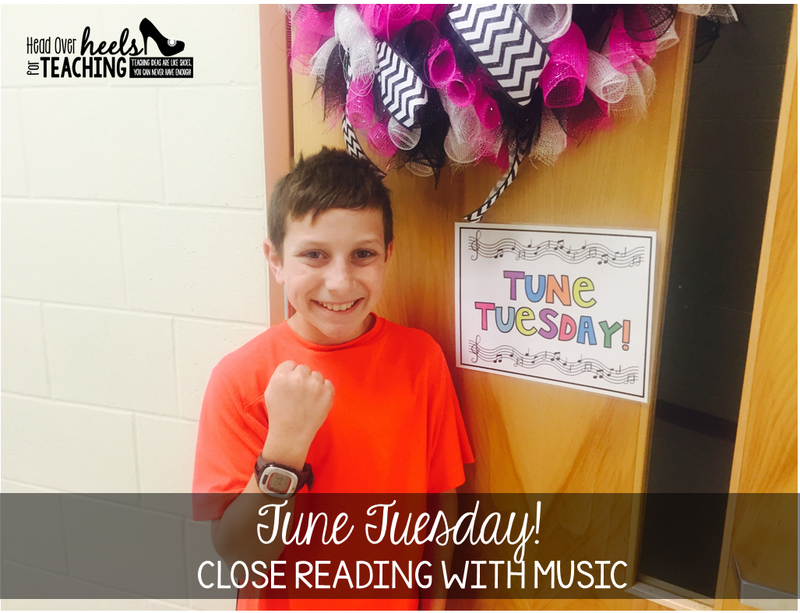 Your students are inspiring! I'm going to begin this ASAP because #kindnessisthenewcool. 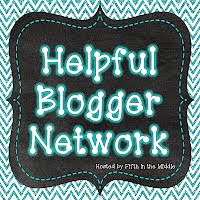 Thank you so much for commenting and leaving feedback on TPT. (That is spreading kindness too!) :) I know there is more good in this world, we just need to focus on it and uplift each other. 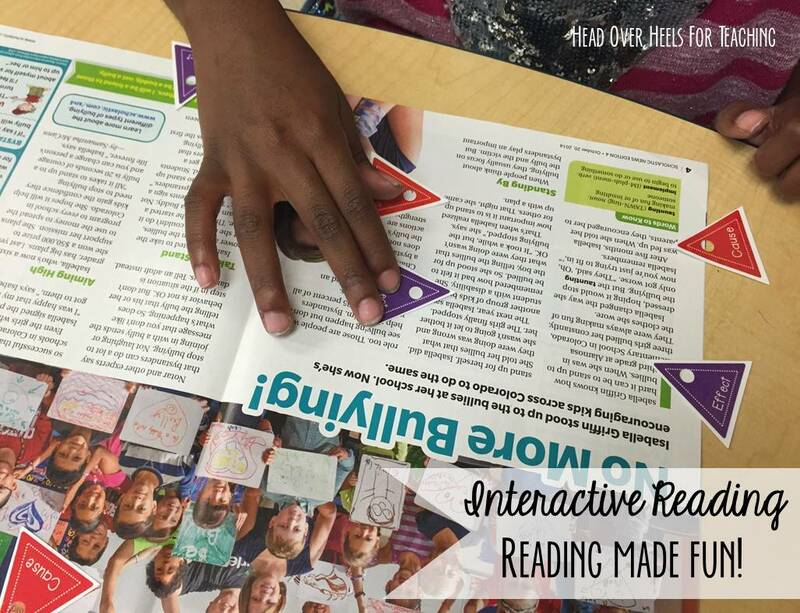 I'm so excited to hear you'll be using these resources in your class. Please let me know how your kids like it! I'd love to see pics! Thanks Lisa! I feel the same way. Kids are the best way to brighten our lives, they can spread kindness everywhere! What you and your students are doing is so inspiring. I can not wait to share this information with other teachers and my own students. Thank you so much for sharing your ideas and heart with us!! 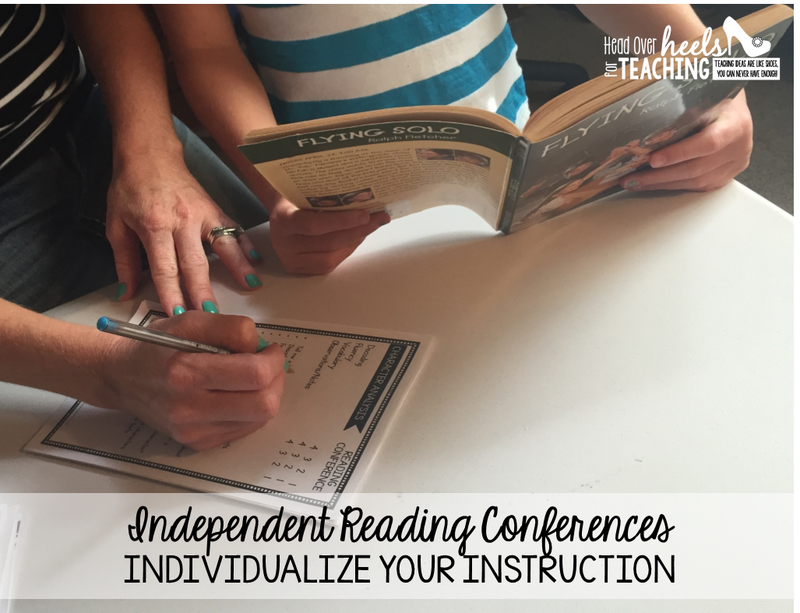 I cannot wait to start this with my own students! This year my group has been having a hard time getting along, so we need this desperately! Thank you for sharing! You and your students are making a huge impact on people! Also, is the "Random Acts of Kindness: Spread the Love" poster in your store? Wow, that is great! What a great way to get students really thinking about kindness and sharing the importance of kindness with others! I LOVE those shirts too! I am definitely going to have to look at doing something similar to this with my class. Thanks so much for sharing! Simply amazing! Our 5th graders read Wonder and this will be a great way for our students to choose kind! Thank you! OMG! How Perfect for what just happened in Paris and with Thanksgiving very soon. I want to thank you for this. I am going to present this to my admin. and our PTA. Every idea is perfect. I teach pay it forward, just like the number 8 and a hulahoop-what goes around comes around, the Golden Rule and many others. Thank you again! Thank you for sharing this! You are truly inspirational. I look forward to working with you to help get this started at my school. You already know how much I LOVE this! (all those emails :)...but I wanted to publicly thank you for all this kindness goodness. 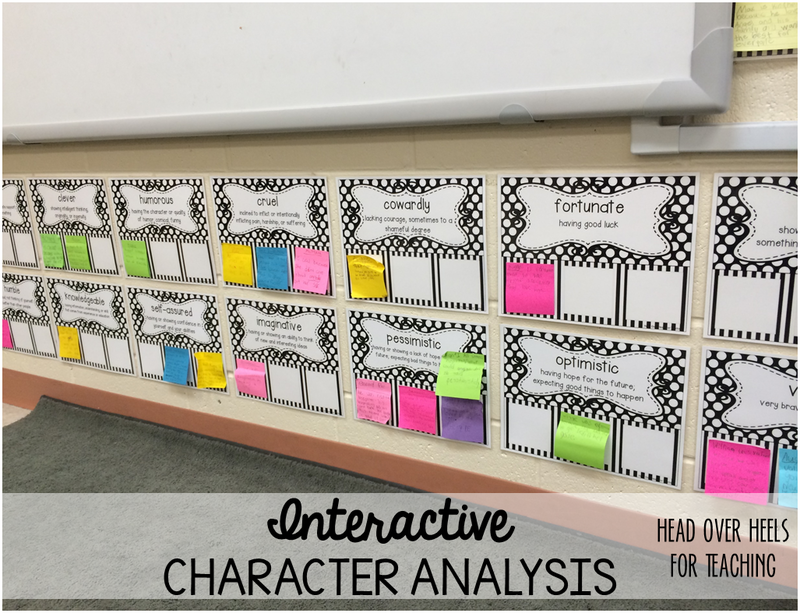 I introduced it to my class and then created a bulletin board for our elementary school students to see and use. It warms my heart to see students eagerly taking the "Positive Thoughts" notes to share with friends and others. Our school counselor said she "stopped in her tracks" to read the board, and now my dean of students wants to use it at our district office...so good! :) Thank you, thank you so much for this! You are an amazing human being. I am filled to the brim, reading about your campaign. I have downloaded the materials and as coordinator of the Olweus Anti Bullying Program, will be implementing this project at Spirit. Thank you for being YOU! Thank you so much!! Where did you purchase the shirts? I LOVE everything you are doing for not only your classroom and school, but for "us" who are also trying to create positive environments in our classroom and schools as well. I am working on having our new school shirts made and was wondering if "copying" your shirt design is a violation of copyright? Please let me know if we have your blessing to make similar shirts. Thank you! I read this article and his all method for cheeking my sentence very helpful thanks for share it rephrase a sentence generator . Motivational is very much essential for every student as well as a teacher. It helps to develop various things such as; confidence, inspiration, judgment, commitment, inspiration, and leadership attitude. Therefore good motivation skills will definitely bring good changes in our life. We appreciate these kinds of motivation in our life and trying to implement in our life for better success. Paraphrasing and conjointly outlining ar each indispensable writing instruments. There're each techniques of adding further writers' functions similarly as ideas into your current writing in your distinctive terms. This information is mostly needed for the students. I am also a students and writers. Your writing us very good and awesome. I also want to know more about Professional Editing Service.